Galleri Nicolai Wallner is pleased to present a solo show of new work by Jonathan Monk entitled Exhibit Model Two. 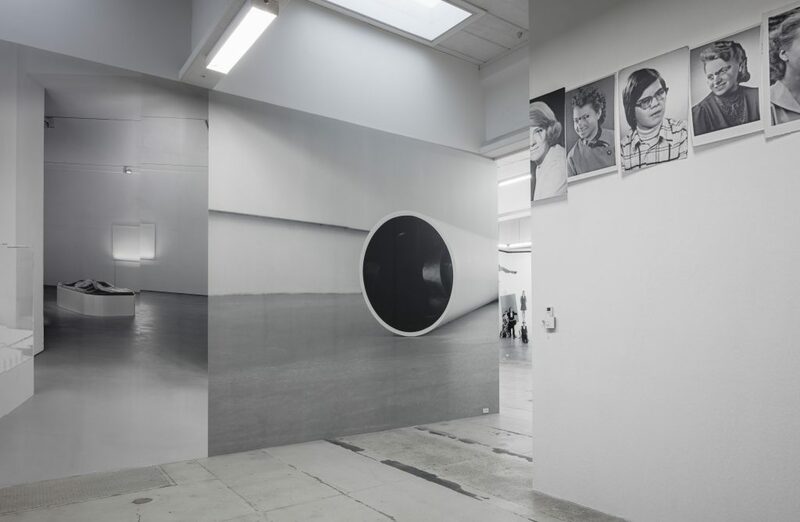 Black and white wallpaper encompasses the gallery, extending through the entrance and the two main exhibition spaces. 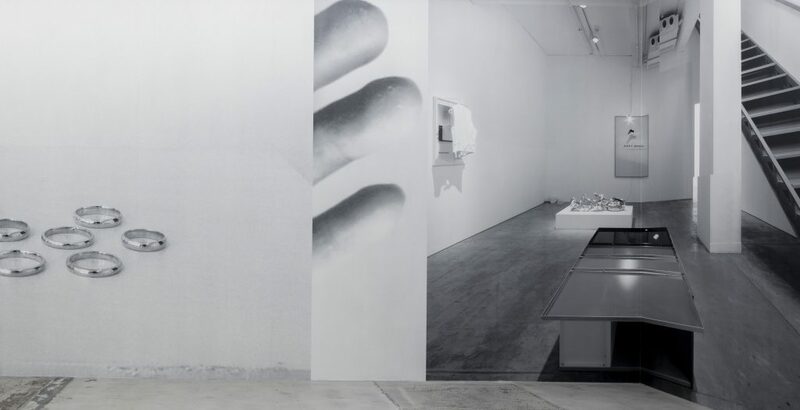 Composed of multiple images documenting Monk’s previous exhibitions at galleries—including at Galleri Nicolai Wallner—and institutions, the wallpaper creates the feeling of almost flipping through a book of Monk’s work. 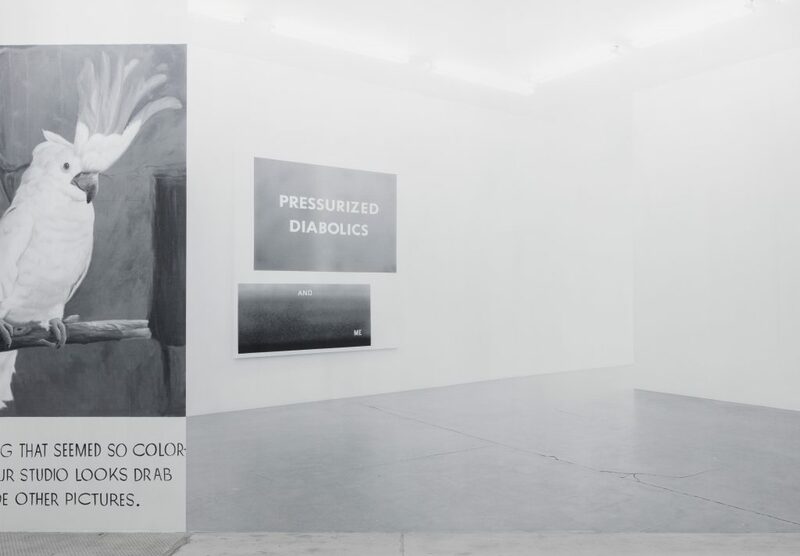 Playing with the idea of how we normally interact with art and exhibitions, be it through printed material, websites, seeing it in person or increasingly by following people on Instagram, the work takes on the idea of the “installation view”—the images that attempts to document the exhibition as a whole. 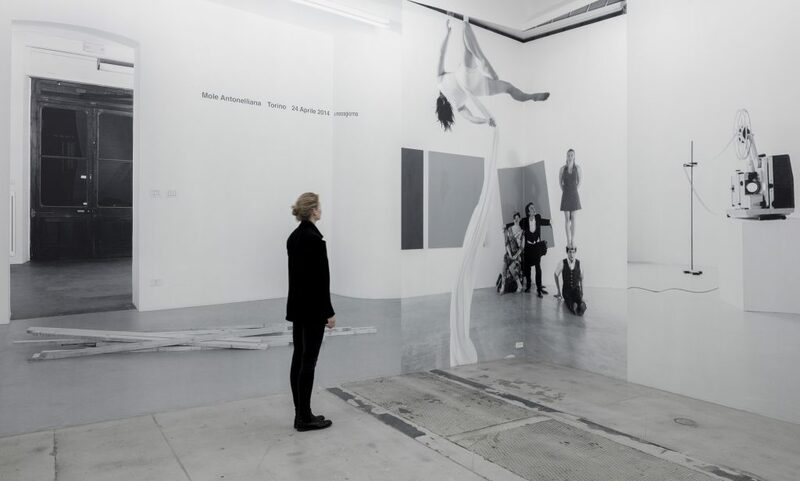 An effective way of being able to concretely understand how things (or works of art) and positioned within a space, the installation view of an exhibition or work allows us to absorb not only the work in itself, but how it affects its immediate surroundings. 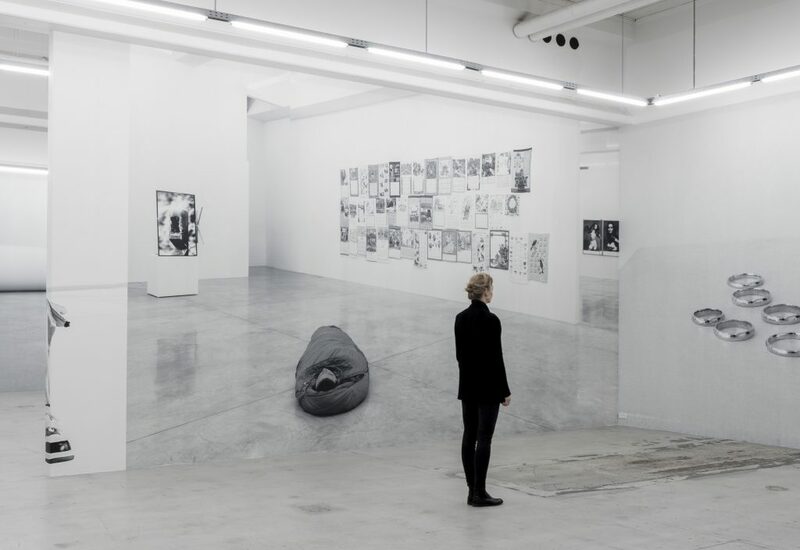 Providing a way of understanding how the exhibition functions in its entirety, these kinds of images function as a means to indirectly try and recreate the experience of actually being physically present. 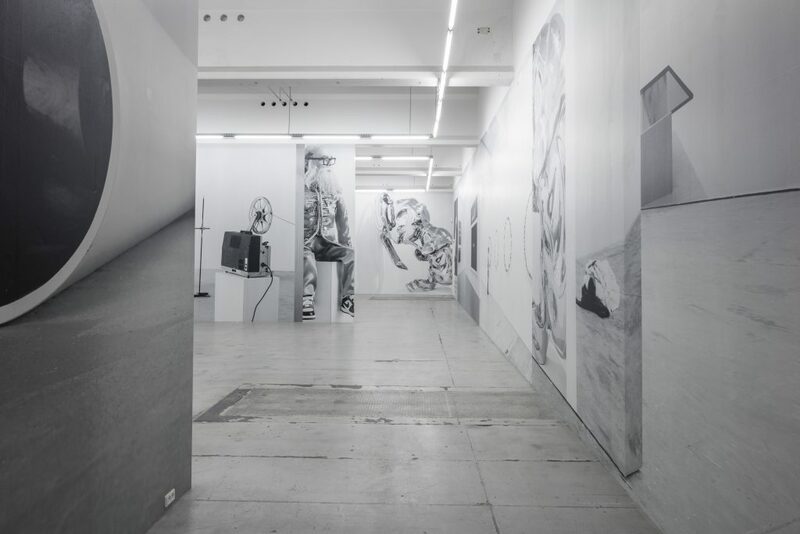 With the gallery left otherwise void and empty of other works, the images that compose the wallpaper take on an even greater presence. As immersive as the space created by Monk’s spaces is, the “view” that we are provided with is however not complete, but rather fragmented. 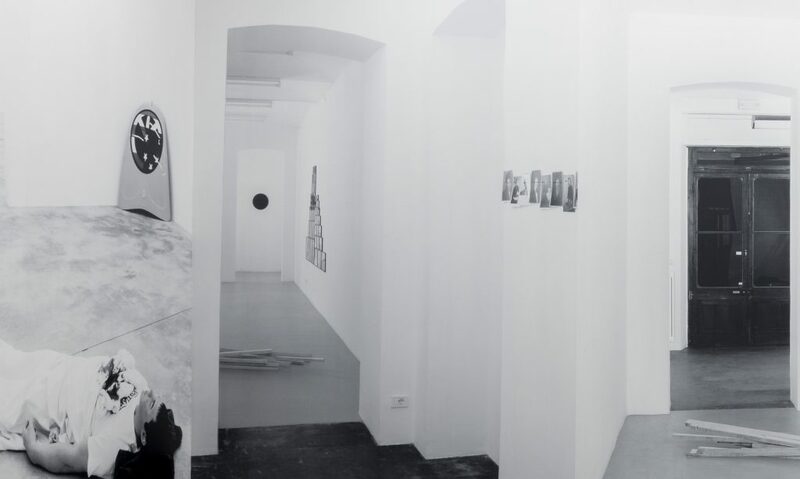 As images begin and end abruptly, the angles and perspectives change frequently and the scale and proximity of the work shown differs from image to image as some show more full views of a space while other images are “zoomed in” to reveal only part of a specific work. 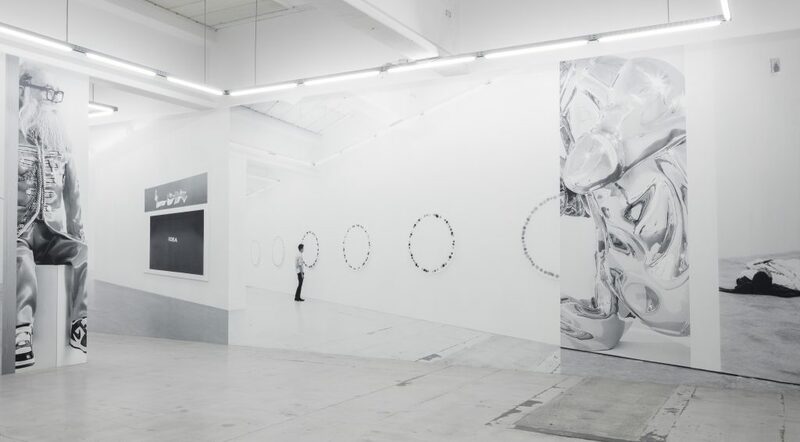 The effect is quite dizzying, though at the same time there is something unmistakably familiar and similar that runs throughout the work. 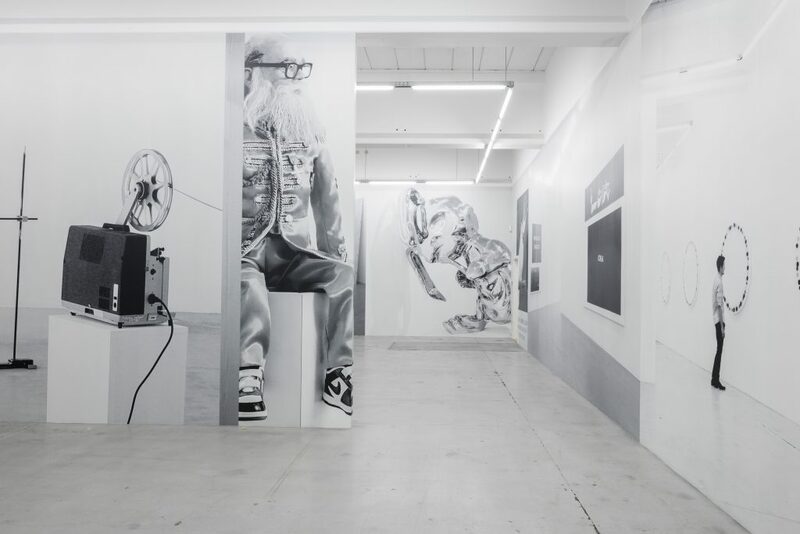 This feeling could, in part, be attributed to the homogenous grey tones that saturate the installation, however what becomes increasingly apparent as you walk through the gallery is how it, in turn, brings our attention back to Monk—the artist himself. 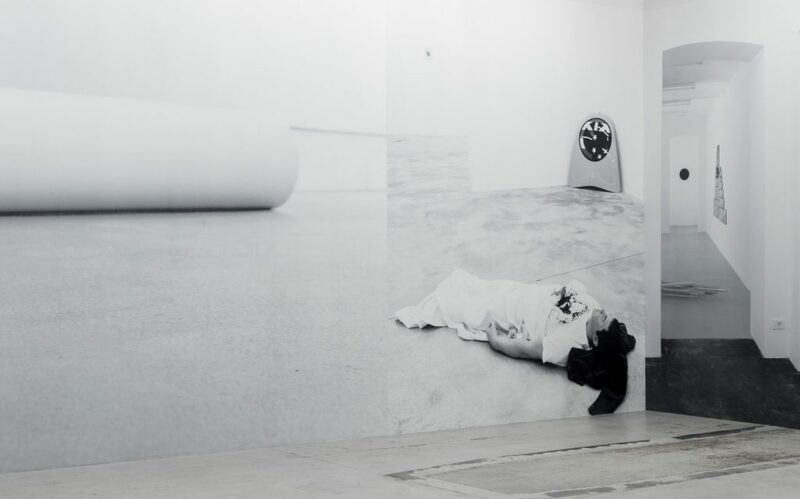 This thread of previous exhibitions brought to life reveals an exposé of Monk’s work in a way that is non-linear, eschewing any traditionally given context. 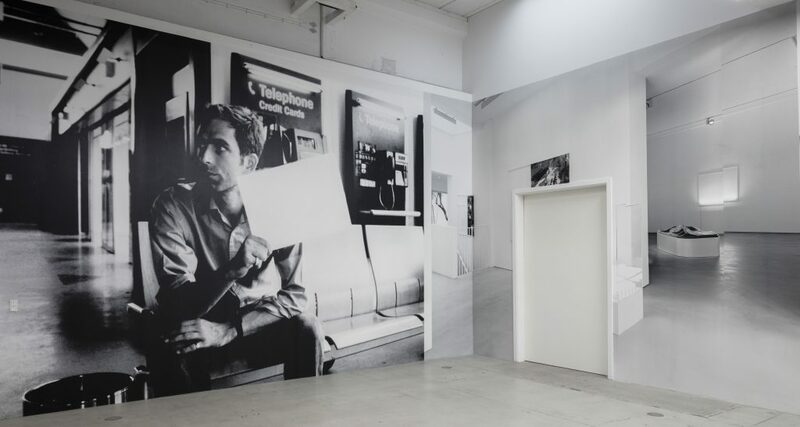 The installation has no captions explaining the what, when or where of each image, there is no visible order from one scene to the next, with no chronology of what has come first, or how his work has developed throughout. Instead, they are presented as is, asking us to decipher our own patterns and create our own theories. Monk’s enigmatic presentation asks us to move beyond our preconceived notion of how we understand the artist, as well as their oeuvre. 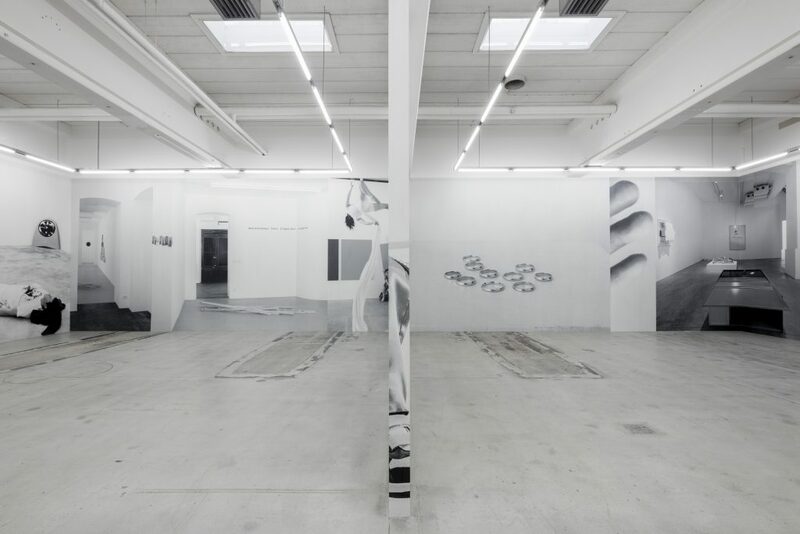 Jonathan Monk ‘Exhibit Model Two’ at Galleri Nicolai Wallner. 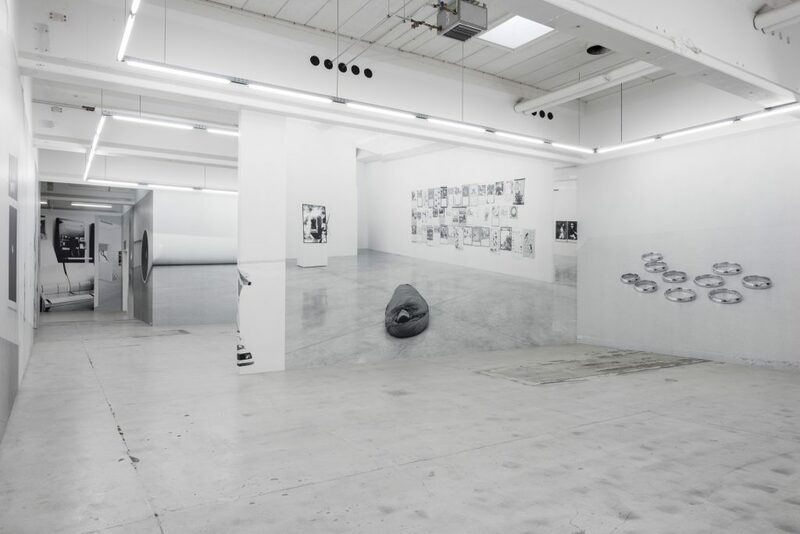 Installation view courtesy of the artist and Galleri Nicolai Wallner, photography: Anders Sune Berg.